4 Beds 3 Baths 2,744 Sq. ft. 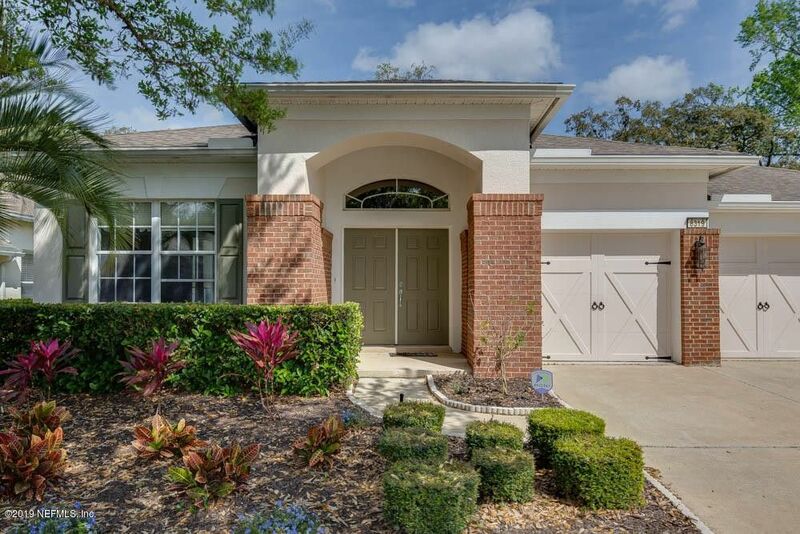 Welcome to 8319 Hedgewood Drive located in the much sought-after community of Ironwood just minutes from the St Johns Town Center with easy access to JTB, I95, and the 295 Beltway. This executive home boasts many custom touches; crown molding in formal areas, spacious gourmet kitchen with stainless steel appliances, ceramic tile and hardwood floors throughout, and an open concept perfect for entertaining family and friends. The over-sized Master Suite comes with plenty of space for a sitting area and luxury Master Bathroom with separate tub and shower makes for a perfect retreat. For those looking for an in-law suite or room for frequent guests this home provides a a split floor plan with 3 bedrooms across the hall two with an adjoining Jack and Jill bathroom and the third having a private bath with access to the screened lanai. Plenty of storage space with a 3-car garage, professionally maintained yard currently named yard of the month and a private fenced back yard. The home has recently been painted inside and out, new two stage HVAC, and solar tubes added making the home light and bright. Bring your pickiest buyers and don't miss the opportunity to see this beautiful move in ready home. Directions: From Southside Blvd turn left onto Gate Pkwy W. Right onto Silverpoint Ln. Gated Road ahead. At the roundabout, take the second exit onto Siverpoint Ln. Right onto Hedgewood. Home on left.